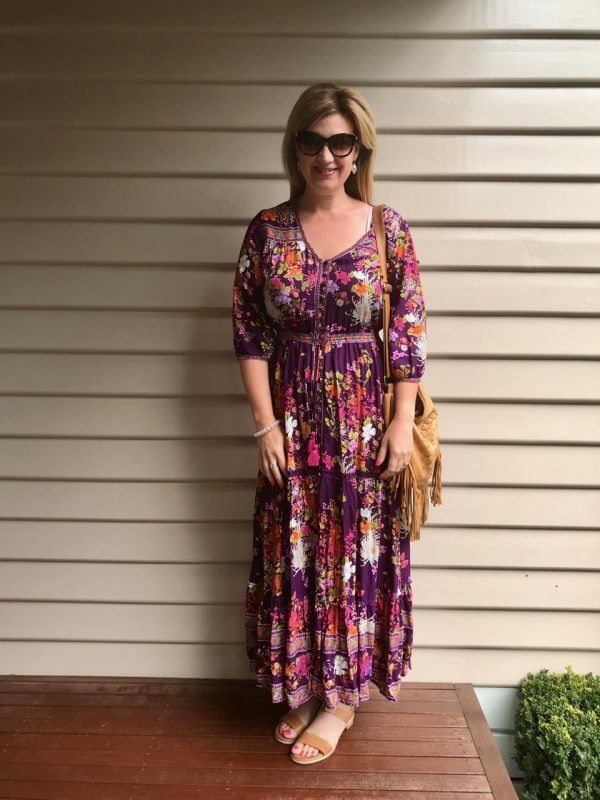 From my awkward teenage years when I hung out with my high school bestie at our local Ishka – and left smelling of incense of course – I’ve always loved a floaty boho maxi. I don’t know whether it was the relaxed vibes of a distant coast, my imaginary acoustic guitar playing, sun bleached, vegetarian surfer boyfriend or freedom from The Parentals I somehow associated with it, but I’ve always been rather partial to a maxi skirt, dress or blouse of the boho persuasion. These days, I’m amazed at the number and quality of boho labels and designers in the retail space. There are loads. I also love finding new labels to wear and spend more time than I should searching Hashtag Boho over on Insta. 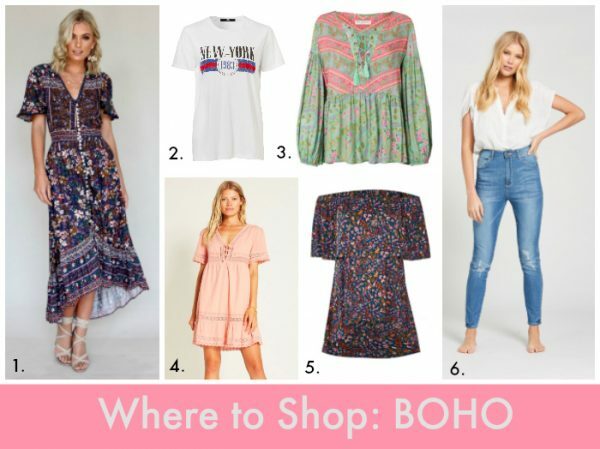 If you too are a fan of all things boho, in this post I’m sharing some of my favourite labels and wearing a boho frock or two. Wearing Melody Midi Dress from Arhnem Clothing, size 14. I could’ve sized down to a 12. Sportsgirl – every time I pop in to Sportsgirl, I find retro tees, maxi skirts and frocks that wouldn’t be out of place in Byron. In fact, their latest drop is The New Boho. You can find some well priced pieces here, especially on the sales racks. Don’t forget to check out their accessories too. Gingham & Heels – if you’re looking for a well priced floral or broderie dress, this is a great place to start. Boom Shankar – I’ve been a fan of this Sunshine Coast label for years. Their Cleo skirts and summer dresses are my faves. You’ll also find Boom Shankar stocked at online store Birdsnest. Tree of Life – you’ll find well priced boho clothing, accessories and homewares here, most of which is sourced from India. 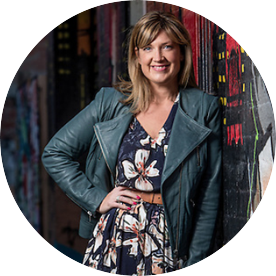 Love iLuka and Bella Boheme – both are online stores stocking a variety of brands across a range of budgets. Boho Bird at Birdsnest – think well priced basics, printed dresses, tops and skirts. 6. High Waisted Skinny Jeans, $139 from Bohemian Traders. Arnhem Clothing – You’ll find beautiful floral printed rompers, skirts, kimonos and dresses as well as organic cotton, swimwear and intimates at this Byron Bay label. Auguste The Label – This is the place to find muted floral wrap dresses – both maxi and mini – tops, skirts and playsuits. This label is also stocked at some David Jones stores. Bohemian Traders – From premium denim through to statement florals, stripes and everyday Boho basics, this is a one stop shop. Spell & The Gypsy Collective – Spell has a cult following and it’s not hard to see why – beautiful prints and pieces at the higher end of the budget. I’ve seen plenty a Hollywood celeb in Spell too! Tulle & Batiste – I’m a big fan of Bali label Tulle & Battiste’s stunning florals and flattering cuts. If you don’t want to shop overseas, try a local stockist. Anthropologie – I’ve bought some of my favourite boho pieces from U.S retailer Anthro, either on holidays in the U.S or on sale. Their fresh cut sale section is always worth a look and I’ve nabbed some serious bargains, especially if the exchange rate plays along. Wearing the Amara Maxi Dress in Plum from Tulle & Batiste, size Medium. The Medium is a neat fit on me. You might also like to know that several of these labels (Spell, August The Label and Arnhem) also have kids’ ranges so you and your little dudes can rock the folky boho look together. Also, if you’re expecting, Bohemian Traders has just released maternity denim – check it out here. Are you a boho loving girl? What are your go to labels?